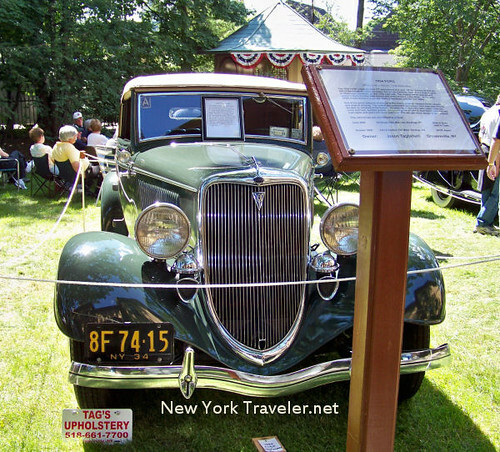 We attended the marvelous Antique & Classic Car Show in Utica on July 5th, at the beautiful Fountain Elms historic site. I’d never been to a car show, and it was extremely festive! Some of the cars are so beautiful. I do believe all of them are operating machines, too. 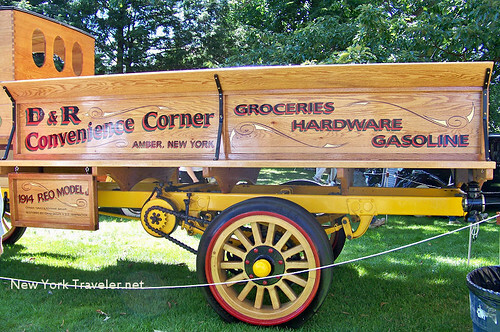 They are owned by people all across the United States, all come to compete for the trophy. Here are some of the cars I liked best. (Please forgive me if I don’t get the car names just right! There were dozens of them everywhere, and I am TERRIBLE with cars). This Auburn was my favorite. Such a classy car! 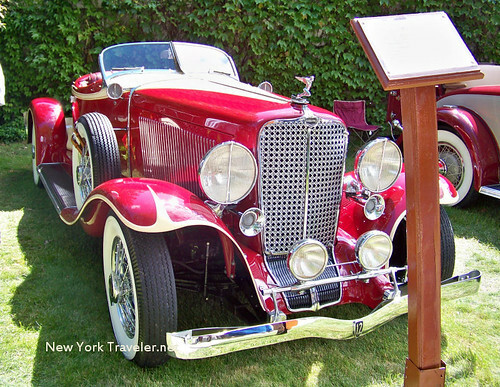 Ever wonder where “REO Speedwagon” came from? Wonder no more. Beautiful wood! This was all handmade. 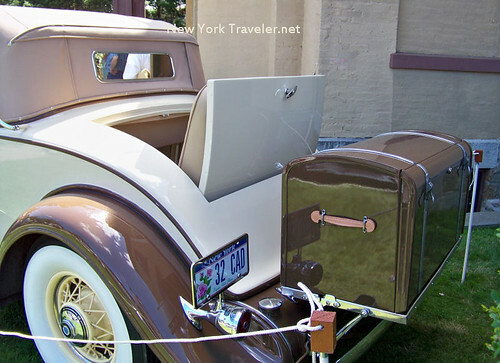 Ever wonder why they call it a trunk? 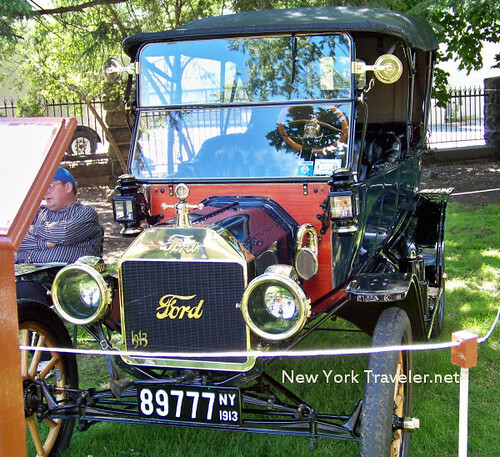 Here’s an oldie, a 1913 Ford. 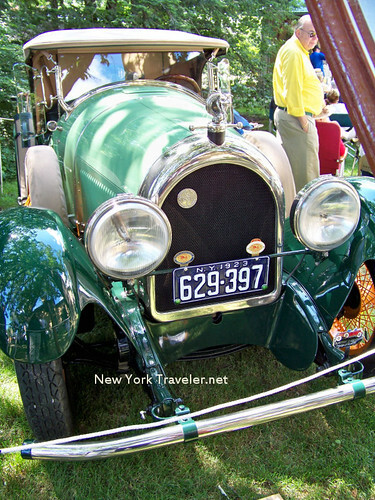 A 1923 Kissel, in exquisite condition. This is beautiful. It said Maxwell on it. But those tires, ugh! Must have been a bumpy ride. I’ll have more photos (I took dozens and dozens) including photos of the winning car. I haven’t been to a car show in years! You have some great photos here! The classsics are always beautiful, but I love the muscle cars. Cobras, Cougars, Camaros and the Mustang Fastbacks are usually what I spend most of my time looking at. 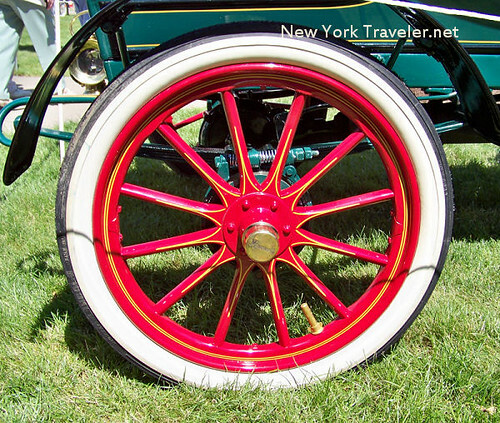 We used to spend a whole day at the Rhinebeck show – now that’s a big one!! Hey Melissa! Thanks for your comment. 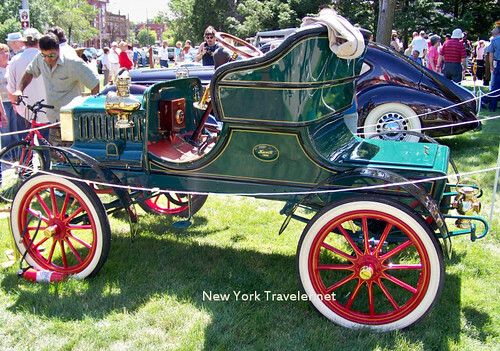 This is the first time I’ve been to a car show, although I have been to several car museums. Those classics are pieces of art, aren’t they? The photos are very good. It’s almost like being there.